It's no longer a secret! Ross Pearson just confirmed that he will be undergoing a knee surgery after acquiring a torn cartilage and chipped bone in his knee during his last fight with Miller. After Ross Pearson confirmed that he will undergo a knee surgery next Thursday, The Real Deal is eying a February return in the Octagon. 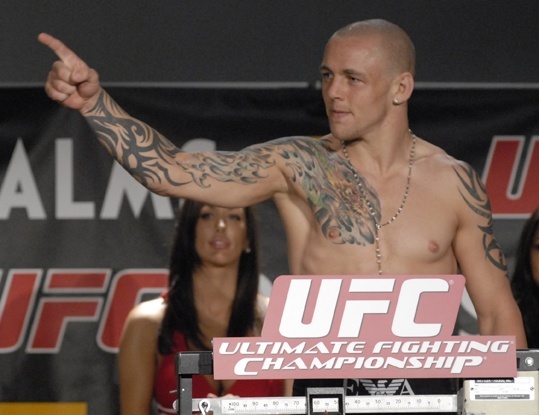 Pearson suffered a torn knee cartilage and chipped a knee bone while competing against Cole Miller at UFN 22. During the second minute of his September 15 match, Pearson found himself seriously injured — resulting to a second-round submission loss to Miller. Ross “The Real Deal” Pearson cannot exactly pinpoint when the injury occurred. But the moment Pearson knew it, he knows that his game-plan is in jeopardy. Pearson attempted to keep mum about his injury, so as not to say that he’s using his knee accident as an excuse. But he believes that the scan and news will come out in the open anyway. So instead of keeping it quiet, he confirmed that he will go under the surgeon’s knife, and wants to get back to action as soon as possible.